In 1996, with little operating budget (but a lot of heart), ArtWorks set out to positively transform the lives of local teens, artists and our beloved City. Today we are an award-winning non-profit organization. -SECRET ArtWorks is back featuring nearly 500 original masterpieces in a new 8″ X 10″ size, all created by incredible artists. And because we love a surprise, the artists’ identities are kept secret until you make your selections. 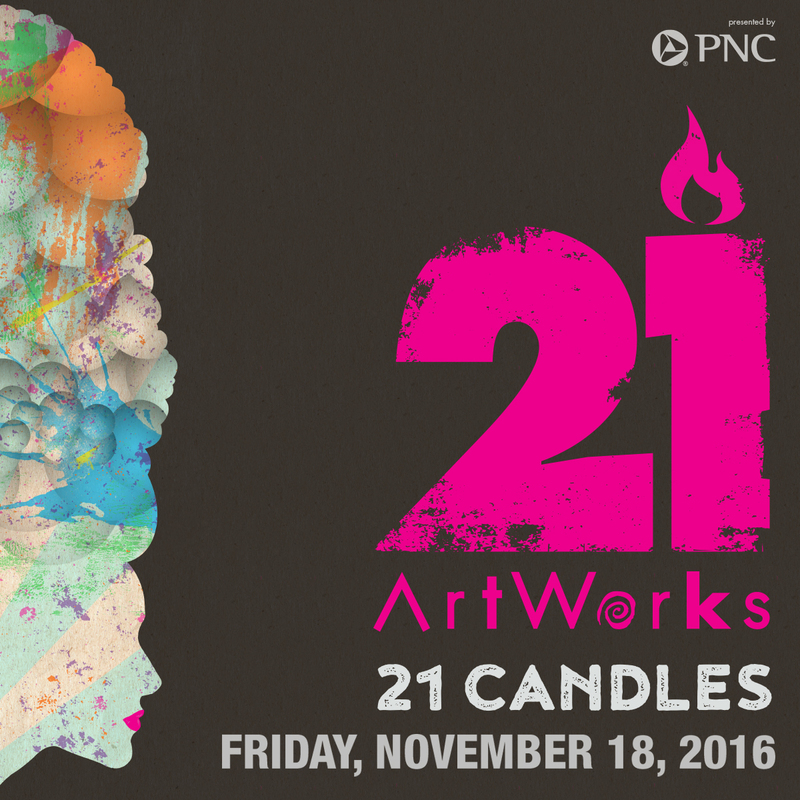 – The works of 21 local and global renowned artists will be featured as part of our 21 Candles Art Auction, sponsored by The Red Door Project. Preview them here. Special thanks to our generous sponsors, committee co-chairs and hosts and hostesses for making this celebration possible. All proceeds benefit ArtWorks’ mission to transform people and places through investments in creativity.